There are some really interesting apps that have been developed specifically for dog owners. We’ve taken a look at five free apps (all available for Android and iOS), which could potentially assist dog owners with many aspects of dog care. Despite the boom in dog-friendly hotel options across the nation, there are times when you need to travel but just can’t take your favorite companion with you. Although there are excellent kennels available in the US, some people prefer their dogs to have a more personalized pet-sitting service and this led to the development of the DogVacay app. Dog Vacay allows you to connect with dog sitters in your area who offer services ranging from dog walking, to taking your dog to vet appointments, or caring for your dog in your home or theirs when you are out of town. With a 24/7 customer support service and daily photo or video updates, you can travel or use the daycare option knowing that your dog is in good hands. Just like people, pets get sick and have accidents too. Although many of us are familiar with the correct first aid procedures when dealing with people, we’re not necessarily as confident when required to be first responders in pet emergencies. The Pet First Aid app developed by the American Red Cross remedies that situation, allowing you to check symptoms and watch videos on how best to respond to common emergency situations. You can learn about early warning signs, learn first aid steps, and take quizzes on pet health and safety. For more serious conditions, the app will also tell you the location of the nearest emergency animal hospital or veterinarian’s office. A great app to use in emergencies and a great resource to help you provide emergency care for your pet until you can get to a veterinarian. If you’re a dog owner, you will know that no matter how adorable your dog’s appearance, trying to capture “that look” in a photo can be extremely difficult. This is where BarkCam comes in. Using a variety of different sounds to get your dog’s attention, the sounds are linked to the camera’s shutter button, so you trigger sound and take the photo at the same time. When you’ve got your favorite picture, you can edit to your heart’s content using filters, stickers or even text. You can share pictures on the platform itself or share it on either Instagram, Facebook or Twitter. This app requires a phone for you and a Whistle GPS collar for your dog, which then allows you to track not only your dog’s location but also his heart rate. Designed to help avoid dog’s getting lost, it also allows you to create custom activity goals for your dog, based on breed, size, and age and can be modified depending on which family member is walking the dog at that particular time. It is important to keep in mind that because this app has nationwide GPS coverage in the US, there is potential to run down your phone battery much faster on longer walks. Although this app is free, the required collar costs around $50*. There are plenty of apps on the market for runners and walkers and this app is quite similar, but designed specifically for those who walk dogs. The app gives you information on the best dog walking routes in your area and if you use one of these or add one of your own, the app allows you to track progress made and allows you to save this data to compare against future walks. Information on dog parks, waste-bag dispensers, dog-friendly areas and water fountains are all given in this dog-friendly app. Once again, it is important to note that continually using GPS, does dramatically drain battery power. We have only taken a look at 5 free apps, but there are far more on the market for dog owners to use. Why not look for one that would make your lifestyle easier? As businesses are increasingly being encouraged to develop apps, it is possible that in the not too distant future we will see an even greater number of dog-friendly apps, which will likely become more interactive and more personalized to meet user need. Do you currently use any apps on your cell phone or tablet that make your dog care duties more manageable or is there an app that you would love to see available for dog owners? Let us know which apps make your life with your dog better. *Price correct at time of article posting. ENJOYING THE PET BARRIER BLOG ARTICLES? WHY NOT FOLLOW US ON TWITTER AND FACEBOOK? WE’D LOVE TO HAVE YOUR COMPANY! Many families like to vacation near beaches, rivers or lakes and all of these have one thing in common – water! When there are large bodies of water present, we should always think of the safety of our children and our dogs. This two-part series looks at how to keep dogs and kids safe so that everyone can have a fun and safe time on vacation or on weekend trips. Ideally, swimming is an activity that should be introduced when children are still infants. Many pools and community programs offer instructor-led “Mommy and Me” swim sessions that allow the babies to get used to being in the water and are great for Moms and babies to bond further. It is preferable to then progress to swimming lessons with a trained swimming instructor who can show your child the correct techniques from the beginning – it is a lot more difficult to unlearn bad habits and techniques. This type of swimming instruction is usually available on a group or an individual basis. Group sessions tend to be less expensive, but as there are more children involved there tends to be less actual swimming time. If your budget won’t stretch to professional lessons, you may want to consider teaching them to swim yourself. This does not always work, as learning to swim can be a frustrating process and sometimes kids will take instruction better from a swimming instructor than from a parent. It is also problematic if you have multiple children. If you are keen to give it a go and will be working with just one child, here are some ideas to make parent-child swimming instruction successful. In order for parent-child swimming instruction to work, kids need to swim regularly and preferably once a week. Make a point of assigning this time in your calendar once a week and sticking to it, except when your child is sick. Swimming is a very tiring activity and as much as we want our kids to sleep well at night, having prolonged swimming sessions when they are learning to swim can be counterproductive. It’s far better to keep it short (15 – 20 minutes for very young and new swimmers) and to keep lesson activities varied. Making the swimming lessons fun with games and other activities is crucial to keeping children engaged and in building their confidence in the water. For very young kids, use games involving nursery rhymes and plastic toys. As they get older, continue to use those techniques, but also introduce games such as “red light, green light,” (where children kick like crazy on green, slow down on amber, and stop on red) to help improve specific swimming techniques. As they get slightly older, drop the nursery rhymes and include the use of more games, varying the games from session to session. Kids of all ages will learn better if there is variety in the lesson. If they get to use kickboards, pool noodles, and other flotation devices once in a while this will be beneficial. Using these items helps to improve stroke technique, keeps them interested, and will leave them wanting to come back for more. Not all community pools will allow their use, so check on that before taking yours along. Building up confidence in the water is vital so that kids are not afraid of the water and want to swim. As your little swimmer progresses in ability and confidence, you may want to think about enrolling in swimming clubs where a range of swimming and social opportunities will be offered. Make sure that your children know how to stay safe near a swimming pool. They must always ask for permission to go in a pool and must have adult supervision during this time. Rules such as not running by a pool are really important to follow. Use life vests or floaties for young kids when they are not actually practicing their swimming strokes, but do not rely on the floaties for safety. For young kids and those who are not strong swimmers, life vests should be worn for activities such as river floating or when in lake water. If swimming in the ocean, be conscious of the tide and possible currents. Where possible try to swim in a lifeguard supervised zone. Even when your child has become a good swimmer, it is possible to get into difficulties in the water. Always ensure that children are supervised to minimize risk and ensure that you are all able to enjoy a fun and safe vacation. Learning to swim is not a luxury, it is a necessity! Being able to swim is such an important skill to have. Swimming provides fantastic exercise for able-bodied children and those with physical challenges and is an activity that can be continued throughout their lives. Some of my happiest and most memorable times have taken place around water with my children. What experiences have you had? We’d love to hear about them. When you are a busy adult, whether because of work commitments, child care, caring for senior family members, pet care, or perhaps all of the aforementioned, it is often easy to make the mistake of putting yourself last. Admittedly in this 3-part series, I am posting this last, which shows I’m as guilty of thinking along these lines as anybody. Whenever I’ve put my needs first, I’ve always felt a little bit guilty, but recent events at my veterinarian’s office made me rethink what I had previously thought of as selfish actions on my part. I was attending an appointment with my dog when another dog’s owner experienced a heart attack in the waiting room. Fortunately, the outcome of a long and convoluted story was that the dog’s owner recovered well and the dog received care during the recuperation period. It left me with the realization that in order to ensure someone else’s welfare, we need to ensure our own welfare. Ultimately, if we don’t take proper care of ourselves, we become unable to care for others. Isn’t it, therefore, a wise investment to make time for yourself this spring by reviewing your lifestyle and maybe giving it an overhaul if it is falling short? You work out to stay fit and healthy, but if your routine hasn’t really changed in many years, maybe it could do with a refresh to keep you interested and challenged. If you enjoy working out with your dog, activities like canine parcours or doga could be of interest to you. If you love walking with your dog, but are thinking about progressing to running, maybe alternating jogging with walking with your pup may be a good way to ease both of you into the sport. We’re not talking about dangerous diets or detox programs, but simply evaluating what you eat and seeing how you can boost your nutritional intake can be beneficial. An easy way to start is with a food diary, in which you write down what and how much you have eaten for every meal for a couple of weeks (or longer if you prefer). You will probably be surprised by the results. If you find your diet is particularly low in vegetables, that is an easy fix. Additionally, if you notice that there is a lot of repetition in your meals, you can add more variety to give a broader range of nutrients and more interest for your palate. In the last couple years particularly, many TV chefs, TV doctors, and celebrity fitness trainers have been focusing on increasing nutritional value in meals to try to help people reduce weight, prevent disease, and ultimately add years to their lives. Their suggested recipes are often simple to fix, absolutely delicious, and many are available free online – it’s worth googling. No matter what hobbies you have and how you prefer to take time for yourself, make certain that you build some of this time into your week. Make a list of the things that you really want to do for yourself and the things that help you relax. Then look at what you actually do on a daily basis and determine what tasks can be eliminated or even outsourced. If you spend all your spare time catching up on household duties, maybe some of those tasks can be shared with a spouse, leaving you some time to attend a language lesson, catch up on a good book, or whatever you want to do that’s just for you. Friendships are vital, whether we have busy lives or not. Try to stay in touch with friends on a weekly basis, even if just by phone, and try to get together as often as possible. Friendships help us to feel connected, boost happiness levels, reduce stress, and may even help in preventing early onset dementia. Your Mom was right, spring cleaning is an important addition to every person’s calendar, but not just for keeping your house spiffy. Take time for yourself, it’s not selfish, it’s essential! ENJOYING PET BARRIER BLOG POSTS? WHY NOT FOLLOW US ON TWITTER OR FACEBOOK? WE’D LOVE TO CONNECT! Hi, I’m Anne, a copywriter at Travall. 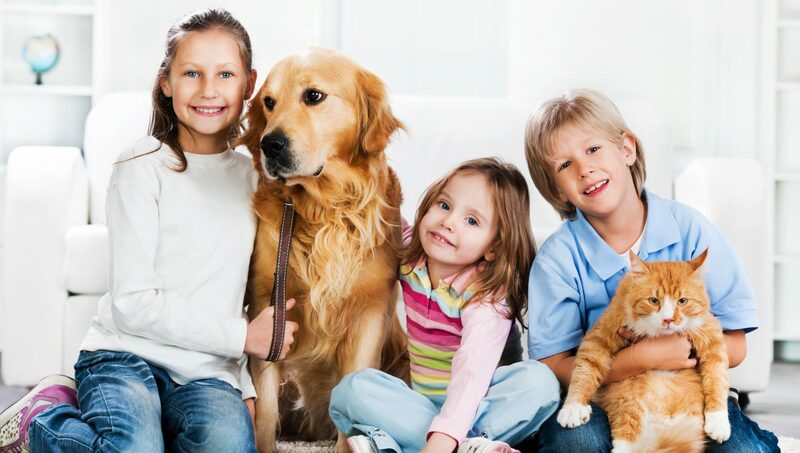 I love to talk about life with pets and kids, pet safety, traveling, and dog-friendly vacations. Why not follow my blog? A family of Chocolate Labrador breeders and lovers. You are braver than what you believe. Jack of all trades, Keto diet newbie, mom of 3 boys.